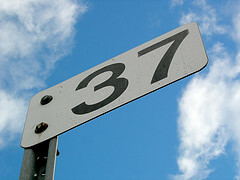 Patricia Digh writes one of my favorite blogs, 37 days. She is much more than a blogger, Patti is a natural teacher through her informative and inspiring blog posts. Her blog began with the question: What would you be doing today if you had only 37 days left to live? This was based on personal experience in a close relationship. I don’t think we can look at employee engagement as being divorced from all the other facets of our life (and death). Patti wrote a post on “be thankful for brick walls” about Randy Pausch and his last lecture. Randy Pausch is dying yet he is really living! Click here for a link to a 4 minute video on Randy. Visit Patti’s post if you would like to find out more about Randy or you would like to be inspired by a skillful, insightful, and authentic writer. What would you be doing today if you had only 37 days left to live?